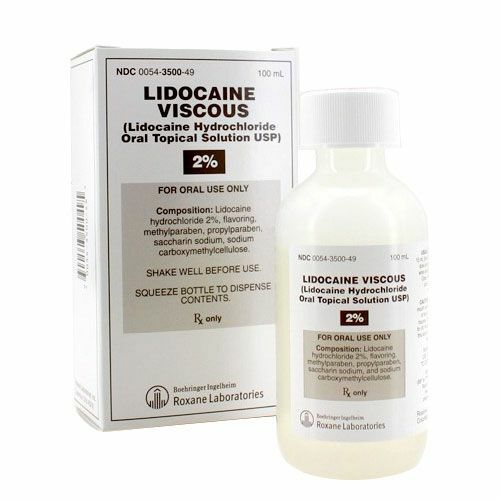 Oral local anesthetic Lidocaine HCl 2% solution in 100 mL bottle. 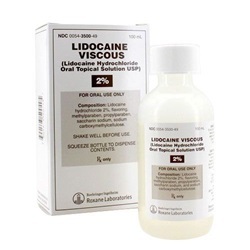 Manufactured by Roxane Laboratories. NDC Number: 00054-3500-49. Comes as singles.